Just for fun, think about what you see when you look at this diagram. 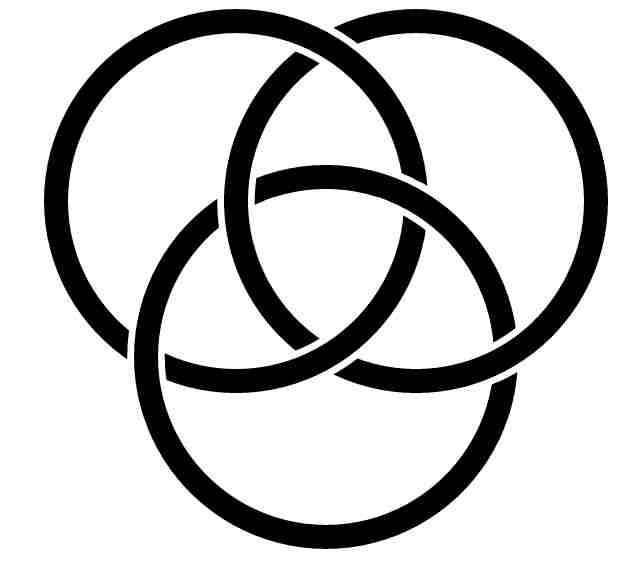 Do you automatically see it as a Venn diagram and start thinking about the principle of inclusion-exclusion? 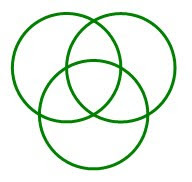 Maybe if you are more concrete minded, you see it as an Euler diagram and start imagining what concepts or things it might describe (see Indexed for examples, like this one). 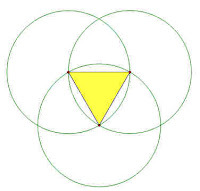 Three circles of equal radius each circle passing through the center of the others provides a ruler and compass construction for an equilateral triangle (ok, you really only need two of the circles, but the third one balances the diagram nicely). If you imagine the circles as rings, you probably imagine the famous Borromean rings, but how many (truly) different ring patterns could you imagine? (See answer here). 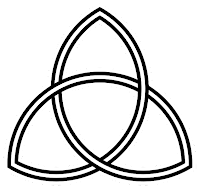 And if you look at the center of the diagram, you might see a trefoil knot, or triquetra pattern. 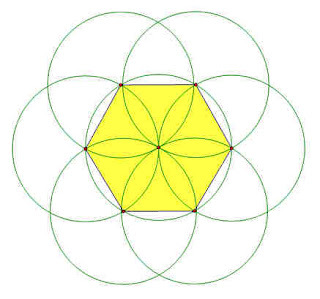 Trefoils are chiral and can be presented in many different ways - the picture below is also a trefoil (with an opposite 'handedness' to the one above) made using tiles (described a little here). 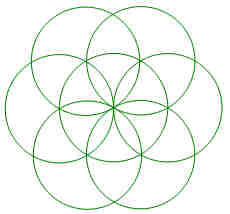 Going back to the original picture, you might be tempted to add more circles and make a nice flower pattern. 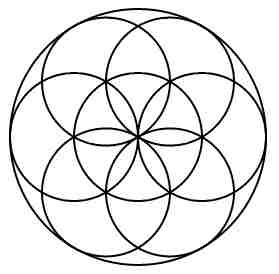 If you have a mystical mind-set, you might see 'the seed of life' in this diagram. 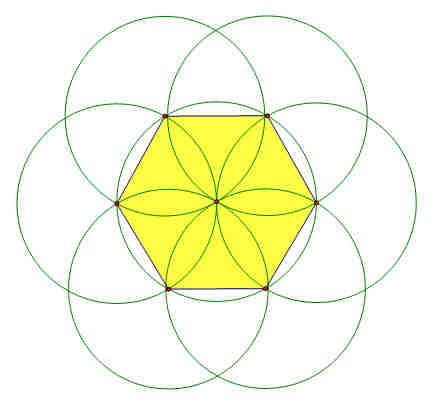 Alternately, you might see a nice way to construct a regular hexagon. 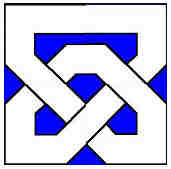 Update: Here is a neat post on origami-blog that you should check out. 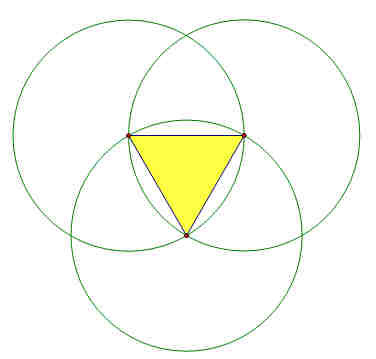 Update 2: The intersection of the three circles forms a Reuleaux triangle, as described here.